WASHINGTON—Responding to recent allegations concerning agency misconduct and an overall lack of quality treatment for the nation’s servicemen and women, Secretary of Veterans Affairs Eric Shinseki announced plans Tuesday to improve health care for American veterans with a new $500 million state-of-the-art waiting room. 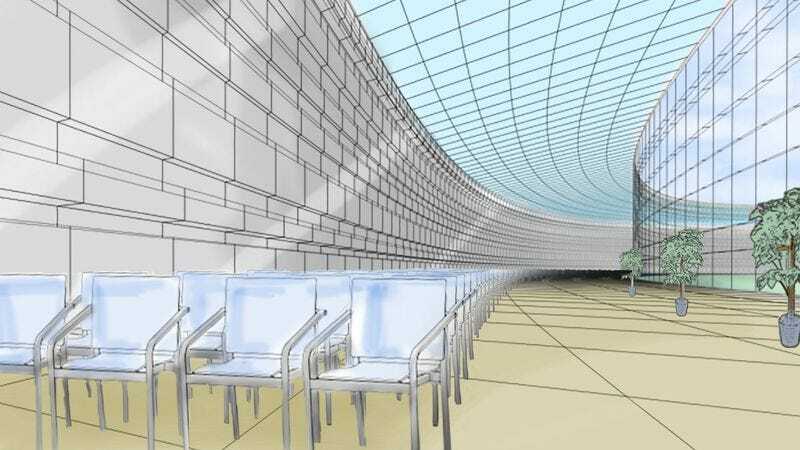 In a press conference held at the White House, Shinseki revealed details of the sprawling, 150,000-seat complex, which will reportedly be capable of comfortably accommodating veterans for periods ranging from 90 minutes to several hours each day. The secretary emphasized that his department is “One hundred percent committed” to enhancing medical care for American soldiers by providing them with the most modern amenities, ranging from a high-tech ceiling-mounted sound system that pipes in a continuous stream of soft music, to flat-screen televisions playing at low volume on every wall, to water coolers that offer both hot and cold options. Shinseki said the new 200,000-square-foot, windowless facility has been carefully designed to address all possible sitting and waiting needs of American veterans, as it will reportedly feature tasteful accent lighting, plentiful boxes of tissues, dozens of handsome framed prints of landscape paintings, a number of coffee tables, and a wide range of plants placed throughout the room. In a concerted effort to remedy problems that have been documented at other VA facilities, the secretary confirmed that the new location will keep on hand thousands of brand-new clipboards and ballpoint pens to ensure that no veteran goes without the resources they need to fill out forms while they wait. Additionally, Shinseki stressed that establishing prompt and open lines of communication with each veteran was essential and vowed that service members who visit the new facility will receive immediate attention from the waiting room’s receptionist, who will ask them to sign in and have a seat, and as requested, give them vague answers about how long they can expect to continue sitting there waiting to be seen. While many active and former military personnel have said the changes took far too long to enact, the announcement has generally been met with praise from U.S. service members. “It is truly heartening to see how much our government officials appreciate our sacrifices,” he added.